Whenever I think about this revolution of ours, and about socialist revolution in general, I feel that it needs support in terms of moral perspective. Attention has been confined far too much to the sphere of material prosperity. It isn’t until now, perhaps, that opportunities are opening up for the realization of dreams of a better life, which doesn’t necessarily mean for a man to have a car, a summer cottage, a job, but rather that a man be better from the moral point of view. It means developing what Christianity had in its Ten Commandments into some sort of new perspective, a moral aim for people to strive for. We don’t hear very much about that, even today, in the course of Czechoslovakia’s “rebirth” process. The liberation of man, his freedom, is only something necessary to achieve the major aim. It is not an end in itself. That is why the fantastic fact of there not being any more censorship is one of those immense achievements that I always thought would be one of the natural privileges of socialist society. Maybe now it will be possible for some of the more distant ends to be achieved, like the brotherhood of man. The artist hasn’t the right—nor is it his place—to debate with the critics. And besides, I think it is useless. The artist has his critics, true: but the critic has his judge, too—it is Time. Time is a relentless judge. From April 5th to 13th, Czech That Film 8 dedicated its 2019 series to celebrating the 30th anniversary of the Velvet Revolution with recent and classic cinema works. Presented by the Consulate General of the Czech Republic in Los Angeles and the UCLA Film and Television Archive, five feature films were shown over four nights at the Billy Wilder Theater in Westwood and Laemmle’s Monica Film Center in Santa Monica, and they will continue to tour in various cities throughout the U.S. All are new films except for one, The Ear (Ucho), banned immediately upon completion and released only 20 years later after the Velvet Revolution of 1989. In general, when the cinema of Czechoslovakia is mentioned, ears perk up and lip service is paid to the Czech New Wave, yet the country has a long history of filmmaking, and by the early 1930s, Prague could proudly claim the most modern film studios in Europe. In 1945 when Czechoslovakian cinema was nationalized, it already had 47 years of film production to its credit. By 1959, however, certain feature films were already being attacked and banned. Yet by 1963 some of them were released, and again Czech cinema entered a period of immense creativity. 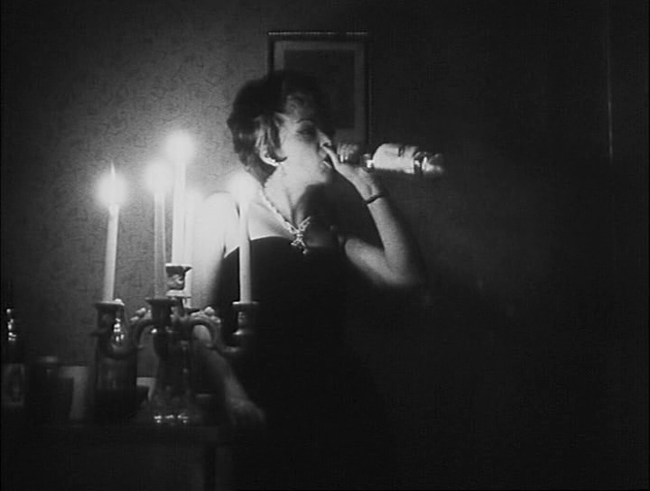 Not all the artists were new; Karel Kachyna, one of the first graduates of FAMU, the Prague film school, had begun directing in the 1950s with documentaries, but in the 1960s he was already making lyrical, intimate, ironic films on socio-political themes devoid of the tendencies of social realist works and sometimes offering a more psychological perspective. Having studied art and photography, he pursued formal beauty in his composition of images, perhaps black and white in a snowy landscape or beautifully balanced within a wide-screen format. By the time he directed Night of the Bride, for example, in 1967, addressing the collectivization of farms, village life, and Christmas rituals through a young woman escaping the novitiate, he was already an exceptional filmmaker. Since the mid-1950s, he had teamed up with the esteemed writer Jan Procházka. At the Union of Writers at that time, Jan Procházka fit the picture of perfection in the eye of the higher-ups: he was from the countryside and had served faithfully for years in both the national youth organization and the army. Both his humble class position and his political background gave him leverage to speak openly and frankly and still maintain the trust and support of those in power. Thus, he wrote stories and screenplays for very sharply pointed films for over a decade to come, but there was more to his unmistakable privilege than this, and the anecdote itself reads like a cinematic satire on the regime. President Novotny’s wife heard someone by the name of Procházka praise her husband on the radio and then insisted that they invite the man over for dinner. The President’s secretary got the names mixed up, and Jan Procházka, who had nothing to do with the radio show, appeared at the table and managed to charm his elite hosts into acceptance of him thereafter. This one demonstration of loyalty led the little-known writer all the way to membership in the Central Committee of the Communist Party. He was also head of the production studio in Prague. Procházka took advantage of his clout and wrote on taboo subjects—two or three scripts a year—pioneering a path of critique entirely condoned by the political establishment. 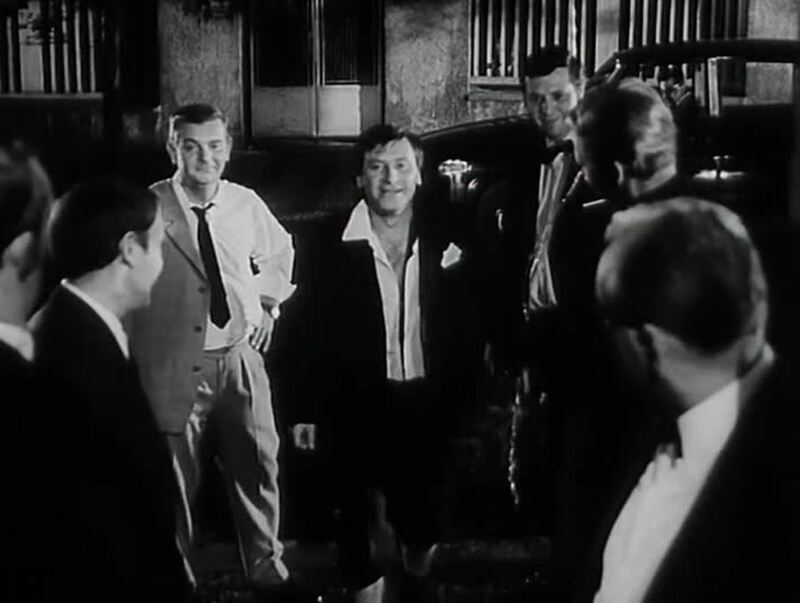 From 1961-1970, Karel Kachyna put almost all of these politically risqué stories on the screen, eleven in total, including Long Live the Republic (1965), Carriage to Vienna (1966), Night of the Bride (1967), and Funny Old Man (1969), all with the utter consent of the reigning powers, until… one day Procházka convinced the President to invite cultural representatives to his dacha. They came, and it all backfired. Communication broke down and Procházka realized there was no way of educating the Party about the arts. From 1967 forward Procházka attacked the regime viciously, until he lost his position in the Central Committee and became the number-one enemy under the Soviet occupation—to the extent that in 1970, the secret police monitored him in his hospital bed as he lay there dying of cancer, to convince themselves it wasn’t a ruse! 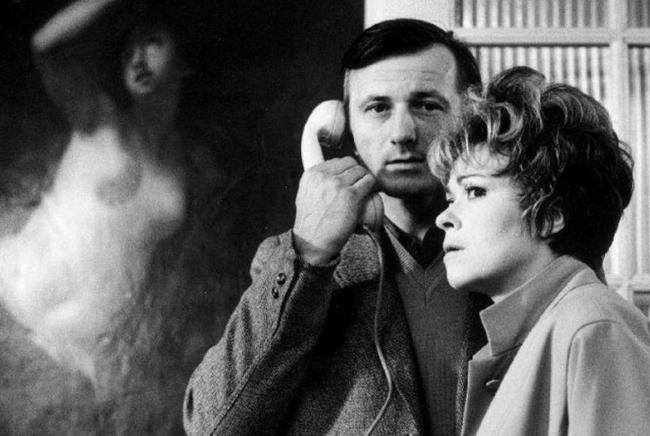 The Ear (1970) has been categorized in many a genre—as a psychological thriller, a film noir, a black satire, and even as a “special piece of grotesque political horror.” Set in the present day (1969), and filmed under the occupation of Soviet forces (since August, 1968) and the subsequent rule of local Communist Secretary Gustáv Husák, The Ear (Ucho) takes us straight to Ludvík, a senior official in the Party ministry, and Anna, his alcoholic wife, daughter of a village pub owner. They live in a handsome house in the capital, on a quiet, tree-lined street, and they return there from a celebratory function, bickering, only to recognize that all is not in order on the home front. An uninvited “guest” has visited while they attended the Party’s party. Once they break into their own house (quite unnecessarily), Ludvík discovers a box of documents has disappeared. As Anna vies for personal attention on their special day and accuses him of cowardly paranoia, the “spooked” house morphs from mysterious to metaphorical: “keys” are missing; “gates” are defunct; “lights” go dark; “power” goes out; phones go “dead”—in effect, communication is silenced in the home as in the regime. At this point Ludvík re-visits the party in his recollections. It was held at the Prague Castle, its white sculpted walls brightly lit. 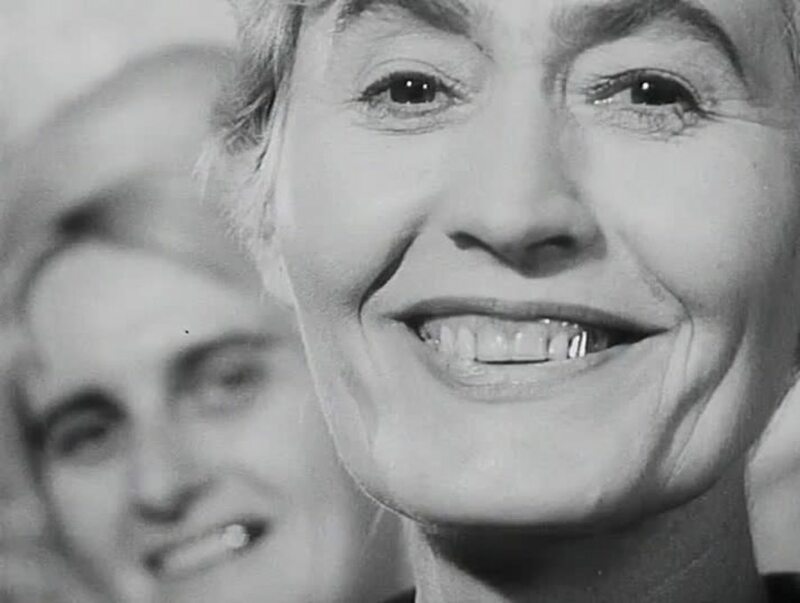 In the replay of the party (and the Party) through the mind’s eye of Ludvík, memory-images are distorted, especially mouths and heads, and the low angles on them are surrealistic in the camera’s first-person point of view. The “return of the gaze” (of the camera’s subjects staring at Ludvík—and us, as spectators), a confrontational filmic strategy often insinuating incrimination, is fractured into multiple faces gawking at Ludvik. Flooded with white lighting, these images are intercut with those of Ludvík and Anna in the home setting, a candle-lit blackout, and the effect is itself jarring, unsettling, even a bit terrorizing as we find ourselves in the shadows and half-lights of hidden truths—not only those Ludvík is investigating but also those he strives to hide from officials, “spies,” and even those Anna has hidden from him. In fact, the film itself is being made under the inspecting eye of the regime. In visual theatrics, the ironies mount. Early on, Anna flirts with the fox head on her fur wrap, aiming/animating it at a Party official in a dizzying close-up. Later, the drunken pack of Party officials carries on its all-night escapades by consuming the couple’s anniversary cake in a refrigerator raid, overtly dramatizing the public impinging upon the private in this house where the walls have ears. Physical humor abounds—for example when Ludvík presumes to burn “incriminating” documents in the toilet but scorches the wooden seat only to have to put the fires out anyway each time he needs to pull the toilet’s flush chain to make enough noise to speak to his wife secretly. Yet there’s still the smoke, and it could be seen by spies on the lawn. Then again, the comedy affords increasingly nervous laughter in Anna’s heightened bickering over Ludvík’s romantic neglect (which we see well dramatized by his extreme self-obsession of the moment) all the while he fights for his life with cover-up tactics. The overbearing, invading irony of secrets and lies juxtaposed in every sphere makes for sadly biting satire. Suspicion and resentment, hypocrisy on all sides, coming and going, are wryly mocked by Anna until she crowns them with a vengeful confession of sexual infidelity and Ludvík slaps her, forcing her head under the faucet to sober her up. Ironically, as in many a political torture session, the violence doesn’t work. In this house of many “ears” (bugging devices), as it turns out, the personal is momentarily salvaged as Ludvík and Anna grow close in sharing their grief over their pending l doom, but true to Czech irony, the political invades again just as the (electric) power is restored and the (telephone) wires are again in operation. A phone call announces the communication Ludvík both welcomes and dreads. Who is to replace his arrested and ousted boss? The loyal, late-night Party host himself, Ludvík. 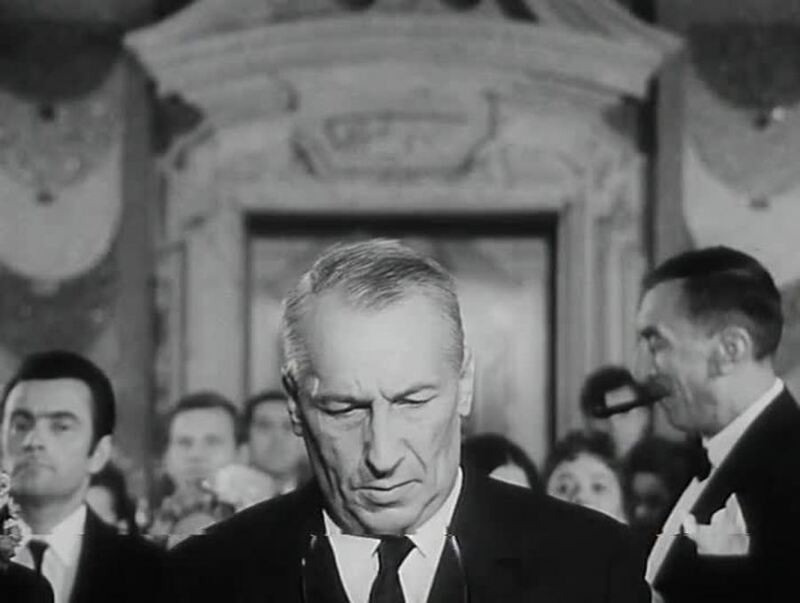 Much has been made of the similarities of The Ear to other films of the era, yet its plot-driven suspense differs significantly from Polanski’s more elusive style of narrative in Knife in the Water (1962), and its theatrically bitter husband-wife dialogue diverges from that of Edward Albee in Mike Nichol’s film adaptation of Who’s Afraid of Virginia Woolf? (1966). Likewise, its absurdity is more pin-pointed than that of Kafka’s stories and novellas, though the filmmakers draw from them for a visual expressionism all their own. The Ear is an archive treasure perhaps more relevant today than ever. Director: Karel Kachyna; Producer: Karel Vejrík; Screenplay: Jan Procházka, Karel Kachyna, based on the story by Ladislav Winkelhöfer; Cinematographer: Josef Illík; Editor: Miroslav Hájek; Music: Svatopluk Havelka; Production Design: Oldrich Okác. Cast: Jirina Bohdalová, Radoslav Brzobohaty, Jirí Císler, Miroslav Holub, Milica Kolofiková, Galina Kopaneva. B/W, 35mm, 94 min., in Czech with English subtitles.